Short Business Description: Master Chalan — world-renowned trainer for show or trail, is now training at Meadowbrook Farm in Castle Rock, Colorado. Master trainer Roberto Quijandría’s gentle touch and quiet confidence are the foundation for producing gentle, responsive horses. The hot-blooded Peruvians of La Estancia Alegre are known for their success in the show ring and on the rugged trails of New Mexico and elsewhere thanks to his patience and skill. 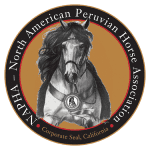 Roberto grew up training horses in his native Peru, and since he arrived in the United States more than 35 years ago, he’s worked with hundreds of horses to hone his craft. Whether it’s a complicated Peruvian reining pattern or a simple water crossing, Roberto brings out the best in a horse.